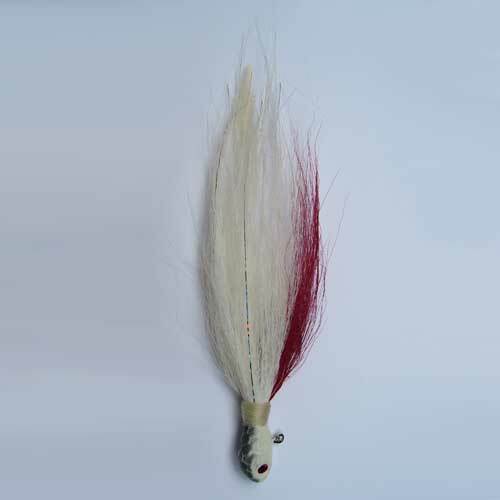 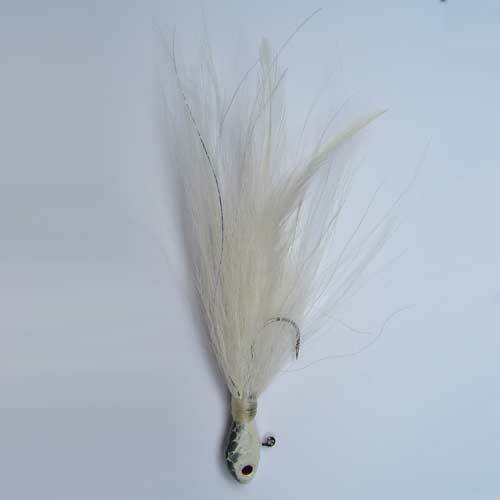 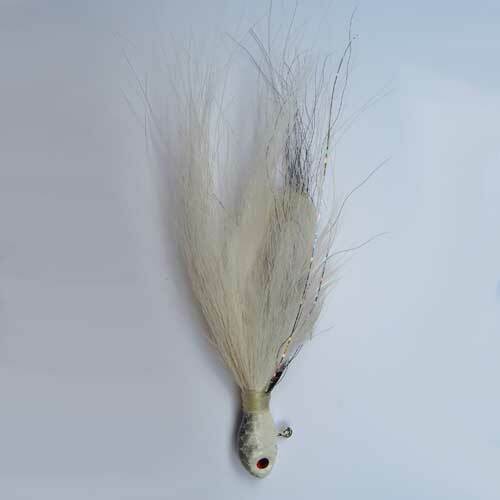 This is a weight forward design it falls nose down and can be vertically jigged, dragged on the bottom or you can swim this jig on the bottom or any where in between. 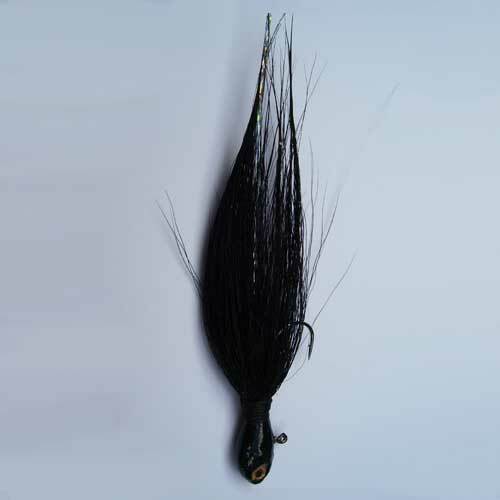 It has a black nickel hook, powder coated head and air brushed scale effect topped off with an epoxy clear coat finish for durability. 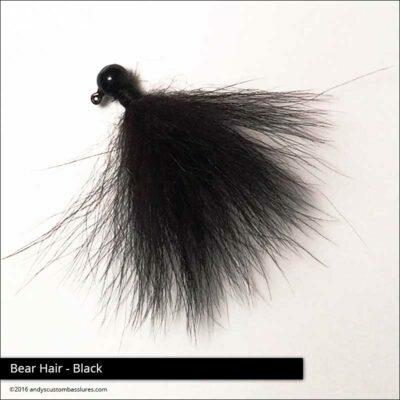 It has saddle hackle, buck tail, and flashabou. 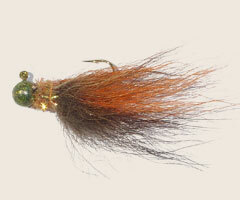 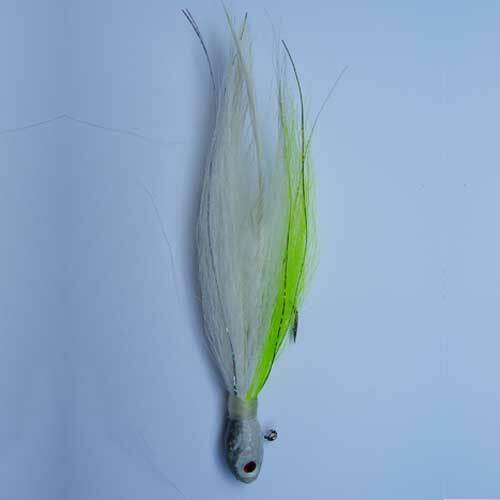 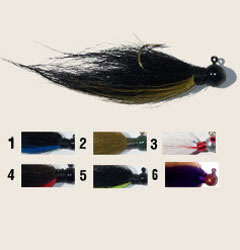 This is a custom jig that exceeds the competition and tied by world famous jig and fly tier Andy Vallombroso.